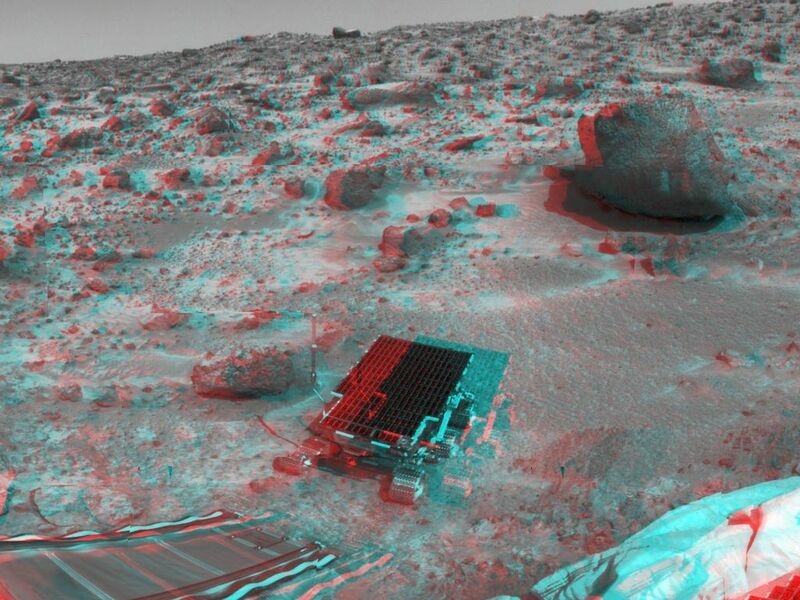 At center, Sojourner has traveled off the lander's rear ramp and onto the surface of Mars. 3D glasses are necessary to identify surface detail. The rock Barnacle Bill is to the left of Sojourner, and the large rock Yogi is at upper right. On the horizon sits the rock dubbed "Couch." A deflated airbag sits at lower right. 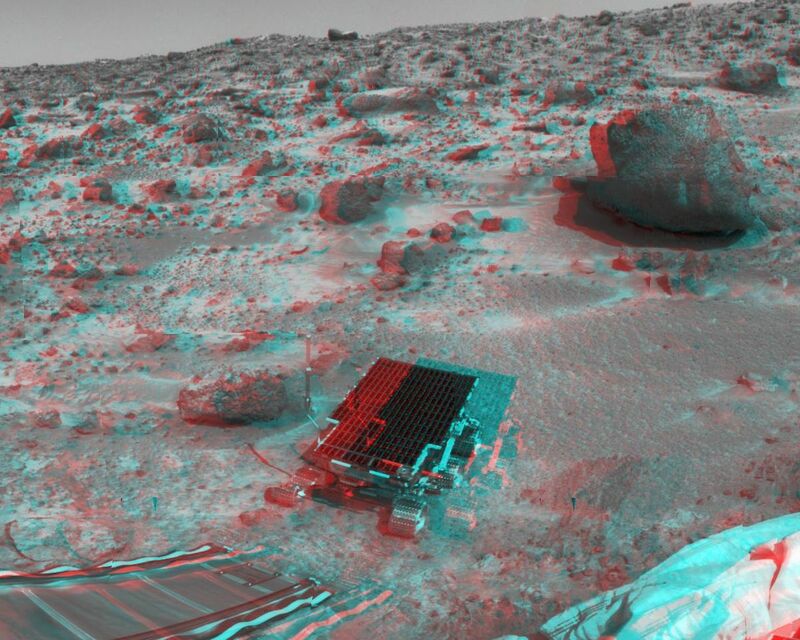 The image was taken by the Imager for Mars Pathfinder (IMP) on Sol 3. The IMP is a stereo imaging system with color capability provided by 24 selectable filters -- twelve filters per "eye." 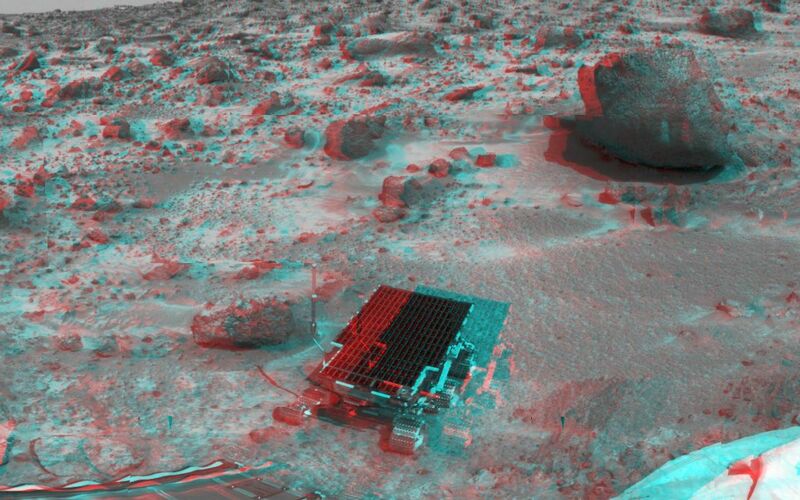 It stands 1.8 meters above the Martian surface, and has a resolution of two millimeters at a range of two meters.